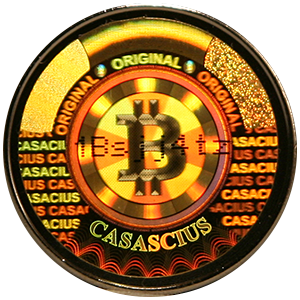 Casascius Physical Bitcoins, physical coins loaded with bicoin, buy online Casascius. 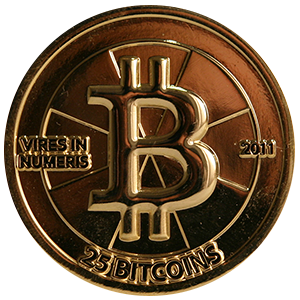 Casascius Physical Bitcoins for sale, buy physical bitcoins loaded with bicoin. 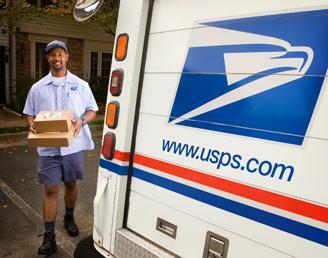 USA next-business-day delivery and Worldwide delivery by FedEx, USPS. 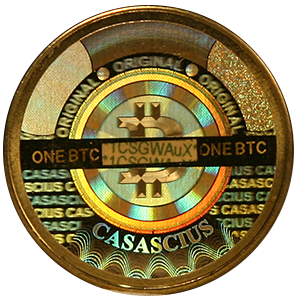 Casascius coins contain a hologram on the reverse side of the coin. 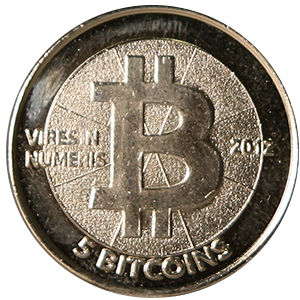 The tamper-evident hologram conceals a bitcoin private-key stored within the coin. 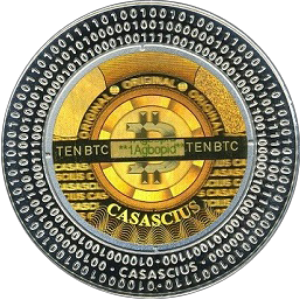 Casascius coins have attained significant numismatic value. 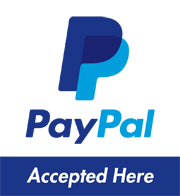 Like many sought-after historic coins, Casascius coins stand-out for many reasons. 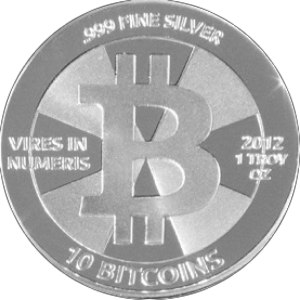 Their rarity and physical beauty, plus the fact that they pioneered the concept of physical bitcoins make them great collectors' items. Furthermore, their history is intimately tied to the rise of bitcoin in general, from inception as simply a proof-of-concept and conversation piece, to eventual termination due to regulatory overreach. It is ultimately history and connections to the past that drive desirability of collectables in general, and no other physical object ties more closely to bitcoin. It's also noteworthy that some of the early coins saw significant circulation and tarnish relatively easily. 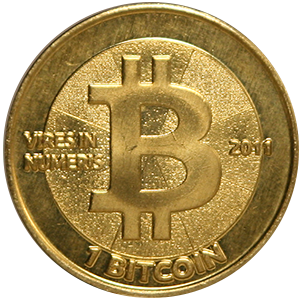 Many of the early coins, as well as higher-denomination coins, were also redeemed (hologram removed to access the underlying digital bitcoin value), further reducing supply. 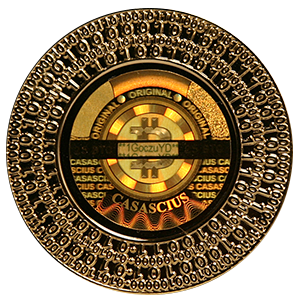 Casascius physical bitcoins will always be a symbolic representation of bitcoin's early history, and a beautiful way to tie the next evolution in currency with humanity's physical numismatic past. 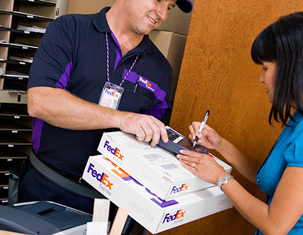 Free USA next-business-day delivery by FedEx. Plated with real gold. Text on front is painted black. Each coin comes individually wrapped in a clear plastic pouch.